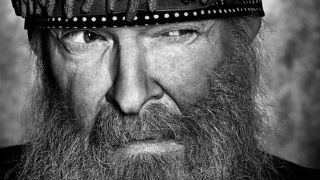 The first son Billy Gibbons ever learned to play was What I’d Say by Ray Charles. He’s just received a 1962 Gibson Melodymaker for Christmas, a budget version of the Les Paul Junior with a thinner body, a narrow headstock, a single pick-up and a single cutaway. Whoa! That one stands as a literal mind blower. It alters the neurons when hearing it. Roky Erickson didn’t consider adhering to any traditional boundaries or formats. In fact, The Elevators became self-appointed pioneers of a psychedelic trip that seems to have the impact of lasting past the present. A trio sound but like that of a freight train. Totally blues-based yet weren’t bound by any particular strain which makes the offering endlessly refreshing and innovative. Cream explored the outer reaches that three players could accomplish and platformed the profound influence ZZ Top would take directly following the release of this quality recording. Killer tones. Jim Hendrix Experience - Are You Experienced? The question that the title poses was immediately answered once the needle settled down in the grooves. Nothing before that one sounded anything like it and the result was a sonic explosion for just about everybody who was playing in a band at that time. It pretty much opened the door to another dimension. It’s the home of Master and Servant and People are People. I am constantly impressed with how they meld a bleak world view with synch and turn it all into great pop music. That’s alchemy! This is a crazy, spacey, album that some say was the Stones’ answer to Sgt. Pepper’s but what was the question? It’s a sonic tour de force that 50 years later underscores what masters of the studio they are. 2000 Light Years From Home is a whole SciFi film that just begs for a few visuals. It’s a door-opener. Here’s where we heard Hoochie Coochie Man and Got My Mojo Workin’ when we were starting off. The band, with Otis Span and Francis Clay and James Cotton aboard. It didn’t have to get any better and serves as the single best introduction to the blues one could want. Life changer on every level. Could be one of the best live performances ever captured on wax. B.B. was at the apex of his powers as a vocalist and did that thing where he plays the part of the girl that still makes for a good laugh-out-loud. It underscores that B.B. was, in fact, the king of the blues. WOW! Mark this one with Steve Cropper’s always appropriate Telecaster accompaniment and, of course, Otis’s, ahem, complete and unbelievable vocal attack. Otis actually mimics the horn parts in Sad Song — that’s what the “Fa-Fa-Fa’s” are all about and, of course, the build on Try A Little Tenderness is the classic bringing drama to a song. Great singer, great band, great songs — the whole deal. Al Jorgensen is a guy whose commitment is total and this is the album where he really found his footing. It paves the way to the possibilities offered by it’s rich and dark, industrial approach. The wicked application of hands-on electronics on that excursion are most substantive. What can I say? I’m a fan. Some say this is ground zero for heavy metal and it certainly created a huge influence on players too numerous to even attempt tallying. Jeff’s Yardbirds bandmate Jimmy Page would take some of it with Led Zeppelin yet remember. The first time I heard this one it felt like something truly revelatory. Blues, rock, psychedelic, pop fusion, metal… it’s all here.